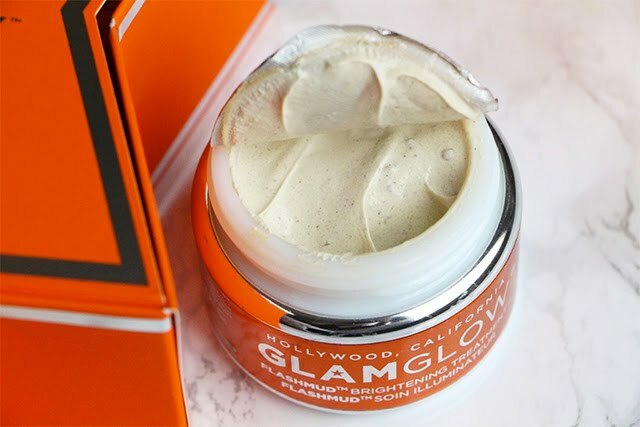 Been a while since I did a product review, but I have been testing out a variety of new products and this Glamglow Flashmud is one of them. So basically before I had my acne outbreak from synthetic hair, I went to Sephora to look for something that would help with sun burn. I had it on my cheeks area and needed something to brighten it or fade it. 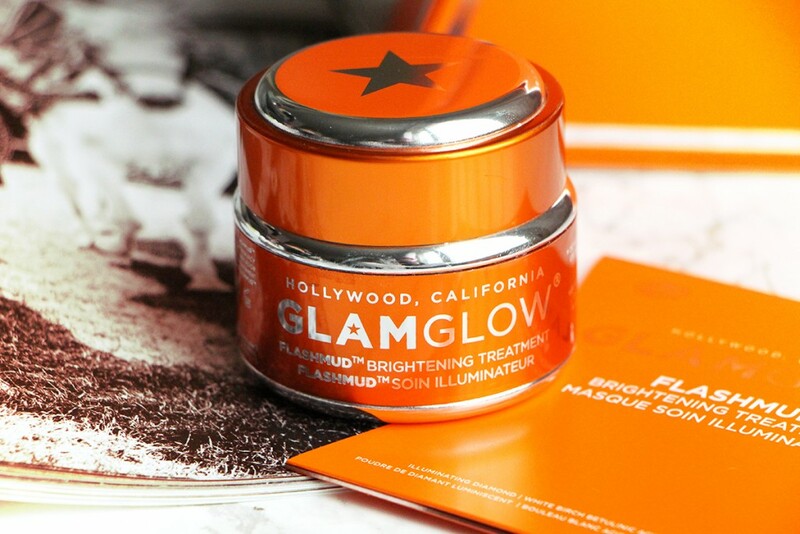 So one of the experts there suggests I use GlamGlow Flashmud and that I would be impressed by the results. But now, I have acne marks, I can also test it out and see if it will fade those marks too while brightening and treating the sun damage. Basically this product is for hyper pigmentation, even skin tone and sun damage. So I purchased it, tried it out and now lets do a review! This just made me feel extra excited to try it, I love compliments! Also inside, it comes with an insert that shows you the greatness in the jar, basically all the ingredients inside of it. Also it has a small manual, explaining how to use it to get best results. Overall the packaging is nice! The main content comes in a tin jar that holds 1.7ounces of the product. I don't really like the tin idea, cos products don't sit well and might alter in a tin. $69 dollars at Sephora. Before this purchase, I had never considered buying Glamglow because it was too expensive and I couldn't justify spending so much on it. But I heard and read a lot of great reviews on the face treatment, so i chose to invest in it. Yummz! the smell is very fruity and sweet scented. I can smell like orangey- peachy. If you like citrus smells you would absolutely love this one. Even after you wash your face it linger on for a bit. As for the texture, it is whitish in color, it has little granules for exfoliating so you can feel them as soon as you put it on your face. If you follow the directions, where you use it 3 times back to back the first time and then 2-3 times a week after that, It would take you about 2 months to run out of this product. You can see the brightening treatment work after one use, but for fading scars/spots/burns, it could take up to 2 months to see good results.Not suitable for sensitive skin. There has been a lot of reports of burns, so make sure you test a small spot before using it on your full face. TEAOXI: White Birch Leaf that delivers natural Betulin, Betulinic Acid and Ellagic Acid to give you an improved, even skin tone. Reflectrum: Brightening ingredients boosted with Diamond PhotoLuminescence to increase reflecting level of the skin. Will appear more radiant. All Ingredients: Water, Kaolin, Synthetic Wax, Cetyl Alcohol, C12-15 Alkyl Benzoate, Butylene Glycol, Acetyl Glucosamine, Niacinamide, Polymethylsilsesquioxane, Pumice, Glyceryl Stearate, Peg-100 Stearate, Pentylene Glycol, Quartz, Betula Alba Leaf Extract, Betula Pendula Wood Powder, Tetrahexyldecyl Ascorbate, Paeonia Suffruticosa Root Extract, Jasminum Officinale (Jasmine) Flower Extract, Lilium Candidum Bulb Extract, Rosa Canina Flower Extract, Camellia Sinensis Leaf Extract, Magnesium Aluminum Silicate, Tocopheryl Acetate, Diamond Powder, Polymethylsilsesquioxane, Xanthan Gum, Fragrance (Parfum), Benzyl Alcohol, Linalool, Amyl Cinnamal, Benzyl Benzoate, Benzyl Salicylate, Geraniol, Hexyl Cinnamal, Limonene, Potassium Sorbate, Lactic Acid, Allantoin, Disodium EDTA, Ethylhexylglycerin, Salicylic Acid, Glycerin, Ribes Nigrum (Black Currant) Seed Oil, Octyldodecyl Oleate, Octyldodecanol, Octyldodecyl Stearoyl Stearate, Rosmarinus Officinalis (Rosemary) Leaf Extract, Solidago Virgaurea (Goldenrod) Extract, Titanium Dioxide (CI 77891), Phenoxyethanol. 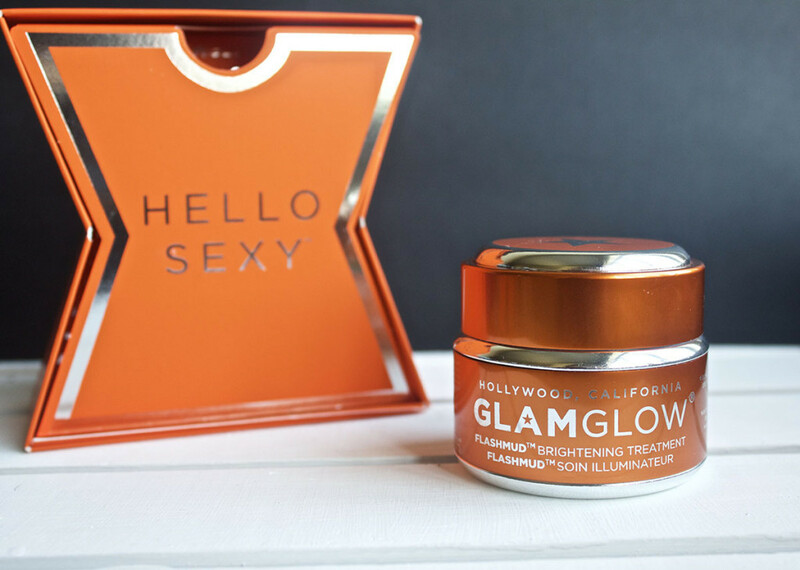 According to GlamGlow, its innovative multi-brightening complexes help to create the brightest, lightest, and most luminous skin possible. Sounds good huh! To start the demo, the instructions say if it's your first time using the mask, to get the the best results, you should use the mask for 3 days in a row and then you can use it 2-3 times weekly. They also say that SPF sunscreen is a must. Your face would be very sensitive to the light. - Started off with a clean, dry face. - I took a finger full and dabbed it all over my face. - Gently move in a circular motion to spread the mask while exfoliating. - Once evenly spread, wait 20 - 30 minutes so the ingredient can sink in and do the treatments. - Rinse it off with water and pat dry with a towel. - I loved the smell of it. - The exfoliation is very intense and I can feel the treatment working. - My skin was much brighter and had a good glow. - It reduced the size of my acne and allowed my other products, such as; serums and moisturizers work more effectively. - I don't like the tin jar, because I don't think tins can hold the power of the ingredients for a long time. - The texture of the exfoliator is really thick and gritty for my skin. had to gently use it. There has been a lot of complains of people getting burned because they had sensitive skin. So with that said, I wouldn't consider it too safe and would advise you do a small test before applying it on your face. Yes, I would repurchase, but I would only use it once a week for intense brightening or when I'm getting ready to go to special events. After the first use, my skin looked brighter, luminous and radiant. I noticed my skin tone was evening out and my acne reduced in size. After I used it for two weeks, 2 times a week, I realized it was maintaining the brightness and my skin started looking much healthier. I am still watching it to see if it would fade the dark marks, I guess in two months I will do a review to see if it worked. As for my sunburn, I still have it. It reduced significantly and I'm hoping it would disappear in two months. I personally thought 3 days was an over kill for face scrub. It really dried up my skin. I should have stopped at 2 days and started twice weekly. 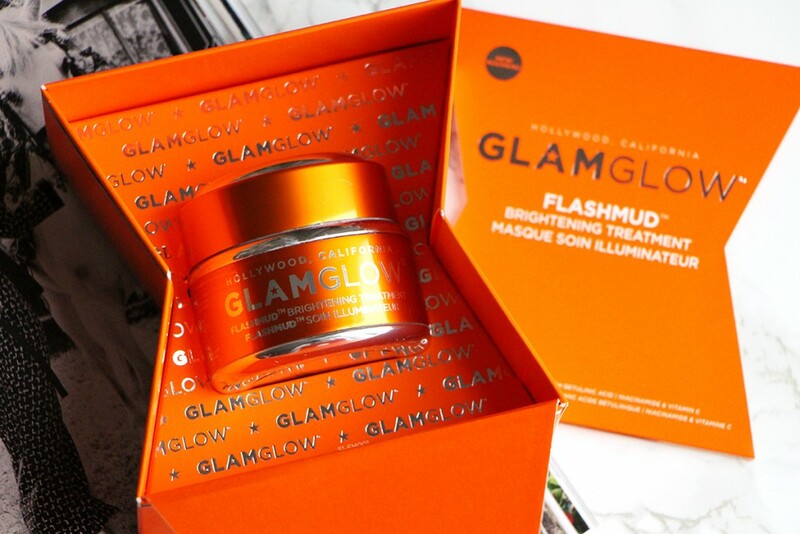 Overall I like this Glam Glow Flashmud mask, It does what it says it does, and really helps, My make-up goes on smoother and my skin is looking like a million bucks. Glowing! Have you tried this GlamGlow Flashmud mask? let me know what you thought! Applying great products plays an important role in skincare because of the large coverage of the skin over the body, it would be encouraged to take care of its texture and form. TOP Skincare Products Crossing over to 2017!